Reports that "Jihadi John," the British-accented narrator of ISIS snuff videos, is Mohammed Emwazi — an educated young man from a middle-class background — ought to put the final stake in the pretense that poverty and a lack of education and opportunity fuel Islamist hate. This mistaken idea seems to be Obama administration policy. We cannot win this war by killing [jihadists]. We need to go after the root causes that lead people to join these groups, whether it is lack of opportunity for jobs. . . We can work with countries around the world to help improve their governance. We can help them build their economies so they can have job opportunities for these people. Of course, the news about "Jihadi John" is only the latest evidence to the contrary. These terrorists are often well educated and even wealthy. Osama bin Laden certainly was. Many Islamist terrorists are physicians: Maj. Nidal Hasan (the Fort Hood shooter) and al Qaeda's current leader, Ayman Al-Zawahiri. "Lady Al Qaeda" Aafia Siddiqui (the terrorist whom ISIS wanted to trade for James Foley, then for Steven Sotloff) was a scientist. Terrorists are often well educated and well-to-do. Mohammed Atta, the leader of the 9/11 crew, was an engineer and the son of a solidly middle class family. Another engineer: Umar Farouk Abdulmutallab, the Underwear Bomber, who is the son of a wealthy Nigerian businessman. William A. Wulf, former president of the National Academy of Engineering, has noted, "In the ranks of the captured and confessed terrorists, engineers and engineering students are significantly overrepresented." Dr. Marc Sageman, a former CIA officer with a PhD from NYU as well as his MD, is the author of the landmark 2003 study "Understanding Terror Networks." This found that "two-thirds of al Qaeda's members had a university education" and that "the vast majority of terrorists came from solid, middle-class backgrounds; their leadership hailed from the upper middle class. They came from caring, intact families." Blaming Islamist horrors on poverty only obscures the true problem: Jihadists are driven by an ideology — one that yearns to "restore" a mythical caliphate, one governed by the most austere version of Sharia law. [A]ny connection between poverty, education and terrorism is indirect, complicated and probably quite weak. . . Instead of viewing terrorism as a direct response to low market opportunities or ignorance, we suggest it is more accurately viewed as a response to political conditions and long-standing feelings (either perceived or real) of indignity and frustration that have little to do with economics. Which brings us to the way that President Obama and others are part of the problem. The Western liberal elites who reinforce the belief that Muslims and Arabs have been persecuted, profiled, spied upon, discriminated against, etc. 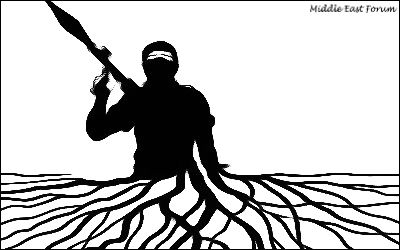 are enhancing the ressentiment at the root of radical jihad. This is just a new version of a long-standing problem on the left. In "The Tears of the White Man: Compassion as Contempt" and "The Tyranny of Guilt: An Essay on Western Masochism," Pascal Bruckner observed that Western left-wingers turned their romance with totalitarian communism into a dangerous flirtation with Third World struggles. Delusions of solidarity with and compassion for "the wretched of the earth," he notes, empowered anti-Western, anti-Semitic and anti-colonial hatreds. Safely situated leftists engaged in "pseudo-revolutionary posturing" and "political playacting," which sacrificed women, infidels, dissidents and apostates. Western elites view themselves as anti-racists ushering in a better world. Too bad they never think it through: Down with the Evil Western Empire, up with the . . . Even More Evil Islamist Empire? Phyllis Chesler is a CUNY emerita professor of psychology and a fellow at the Middle East Forum. Her books include "Women and Madness" and "The New Anti-Semitism."